Tests to reduce risk are used to build confidence in the design and analysis techniques before the final product reaches an aircraft. Weight reduction is of great importance in the design of gearing for aerospace applications. Natural resonance responses of the gear head and shaft change in frequency and amplitude as weight is reduced for aerospace gears. Care should be taken to understand the gear resonance modes and compare the modes with operating speeds. Modes should be evaluated and characterized by their impact on amplifying gear tooth root bending stresses. 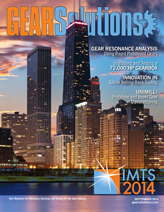 If not addressed, damaging modes could magnify fatigue bending stresses and cause tooth bending failures of the gear. Once determined, damaging modes can be shifted or gear damping techniques applied to the design. Finite Element Analysis (FEA) is used to determine gear resonance frequencies, which are compared to the usage of the aerospace gear. 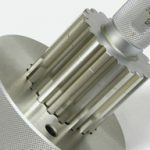 Due to the costs and time involved in the design and build of an aerospace gearbox, tests to reduce risk are used to build confidence in the design and analysis techniques before the final product reaches an aircraft. In main power drive applications for helicopters as well as aircraft mounted accessory drives, gear resonance response tests, known as rap tests, are conducted to determine by test, the frequencies and shapes of gear resonance modes. Due to the long lead time involved in manufacturing light weight, carburized steel gears, rap tests are sometimes conducted on non-carburized test parts that approximate the final shape of the completed gear design. In aerospace, our internal culture is one of demonstration of an acceptable design by test. We step through the gates shown in Figure 1 for a gear design as it relates to gear resonance. The focus of this article is to reduce the time of step 3 validation of the FEA result and not on the overall method used. 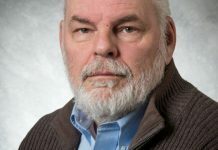 Tests help to mitigate a potential cost and scheduling debacle if damaging modes are not predicted correctly before the transmission enters test or service. 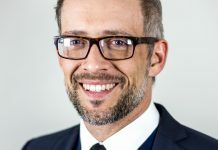 All cost effective opportunities to reduce risk along the development process of aerospace gearing should be taken advantage of, particularly those that can happen early in the development phase. 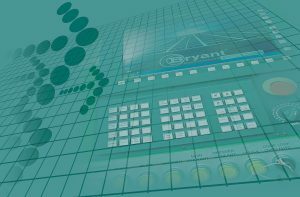 A test was conducted to evaluate rapid prototyping techniques available on the market. 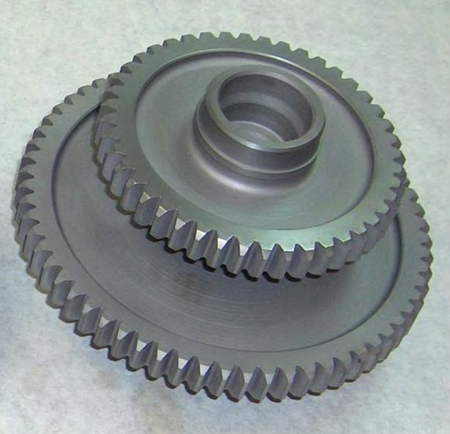 A two-stage idler gear was fabricated by using two different rapid prototyping techniques. The two rapid-prototype test specimens as well as the production part were rap tested to experimentally determine resonant frequencies and mode shapes. FEA results were compared to the experimental test results as well. The test gave us a chance to “try-out” rapid prototyped metal parts, now known as ‘additive manufacturing’ and attempt to reduce a portion of our risk reduction test time. 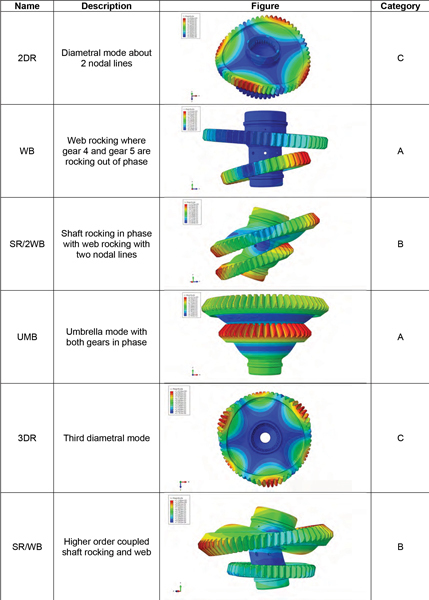 This paper summarizes the testing conducted, FEA result predictions, and compares rapid-prototype gears to production gear resonance results. The modal excitation test, whether done on the production part late in the program or on rapid prototyping parts early in program verify that the FEA analysis has been done correctly and reduce overall program risk. 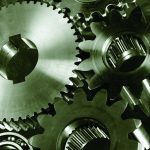 Aerospace gears are designed to be as light as possible to transmit speed and torque from one location to another. Understanding loads and environment help to define a solution that minimizes weight and space required. 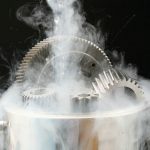 Gear resonance excitation is a phenomenon where natural frequencies of the gear and shaft are excited by operating speeds. Depending upon the mode shape of the natural frequency, tooth root bending stresses can be amplified beyond intended design limits. 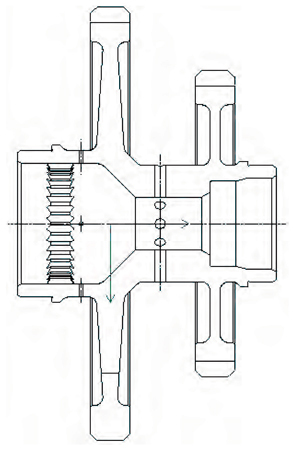 If not accounted for during the design, unknown elevated bending stresses can lead to crack initiation in the gear tooth root and subsequent failure of torque and speed transmission. Analysis of gear resonance in the design stage consists of using FEA software to mesh three-dimensional computer-aided geometry and analyzing the geometry under different boundary conditions. Traditionally, modal analysis of gears is done using a free-free boundary condition. 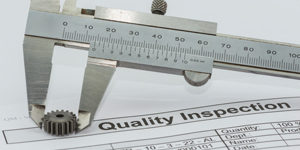 The main advantage to free-free analysis is the convenient comparison with experimental test results, which are collected by suspending the test gear on elastic strings. 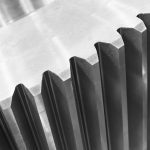 The most damaging vibration modes of interest involve vibration of the gear in diametral modes, which are largely unaffected by bearing support boundary conditions. Shaft modes that lie on or near gear mesh frequencies can be further investigated by performing frequency analysis of a finite element model with boundary conditions simulating bearing supports. In order to verify analysis of the gear geometry, testing can be conducted before the final part is fabricated on a test gear that is similar in geometry, stiffness and density. In past efforts, rough test gear geometry fabricated was a simplified version of the final part minus gear teeth or other features (Reference 1). Part fabrication was simplified to reduce the time needed and traded for accuracy of predicting the final part gear resonance frequency and mode shapes. 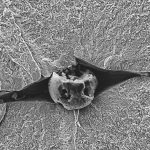 The goal of the rap test is to cost effectively validate the FEA results with a focus on not all the modes, but the ones that we believe amplify bending stress. With the evolution of computing power and FEA packages, increasingly complex parts with denser meshes can be analyzed that more closely match testing of final part geometries. 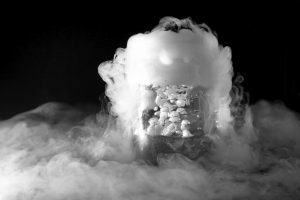 On the manufacturing front, advancements in five axis machining and rapid prototyping, or additive manufacturing, hold promise for more accurate test gear geometries without sacrificing the fabrication time. A two stage spur gear design with an integral shaft was chosen for the test used in an aircraft transmission design. 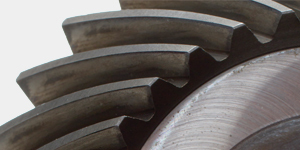 A cross section of the idler gear is shown in Figure 2. Basic parameters of the two gears are listed in Table 1. For the resonance test, two rapid prototyping processes were employed for the manufacturing of test gears. 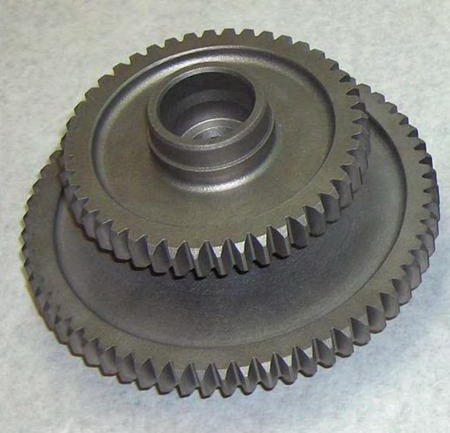 One test gear was made using Direct Metal Laser Sintering (DMLS) technology, see Figure 3. DMLS is an additive manufacturing process where metal powder is deposited on a surface and made solid by the use of a laser. Layers were deposited in 0.001 inch increments until the entire part was created. 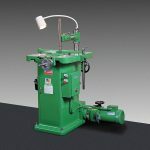 Part size is limited to the dimensions of the machine; in this case the volume was limited to 9 inches x 9 inches x 8 inches. 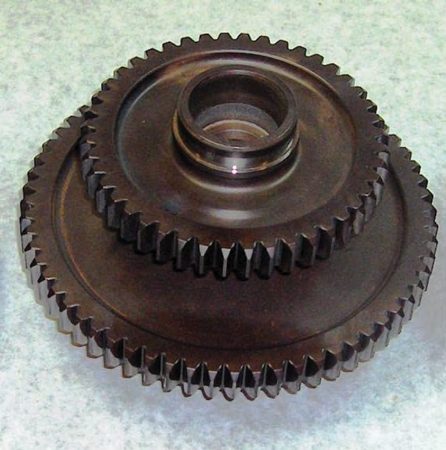 A second test gear was made of 1018 steel using a 5-axis Computer Numerical Controlled (CNC) milling operation, see Figure 4. The computer aided design file was provided as a template for the milling machine. The gear teeth were cut by electric discharge machining (EDM). Figure 5 shows the received test gear. The actual aircraft gear application is a carburized and hardened gear made of Pyrowear 53 gear steel. 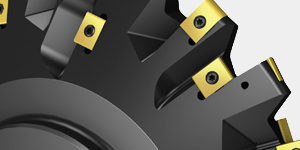 The part was manufactured using conventional turning, hobbing, and grinding processes. 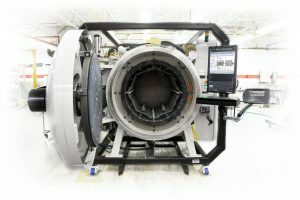 Figure 5 shows a picture of the aircraft gear used for the test. Gear materials for the test were chosen to closely match the density of the final part configuration. Table 2 compares material properties for the two test gears and the actual aircraft part. 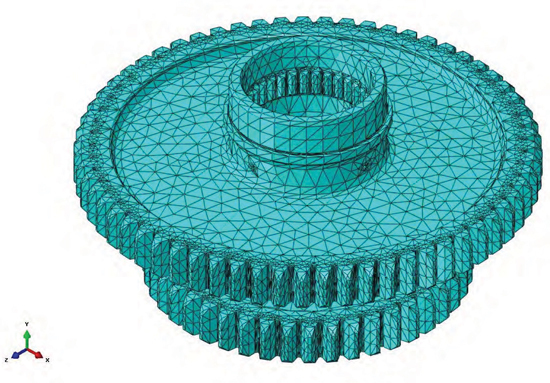 An FEA analysis of the gear was performed using ABAQUS. The solid geometry was taken directly from a Computer Aided Design (CAD) model created in CATIA and imported into ABAQUS. The CAD model contained gear and spline teeth that were modeled as involute teeth. After the gear geometry was imported, a detailed mesh using 10-node quadratic tetrahedron elements (C3D10) was constructed, as shown in Figure 6. Presented in Table 3 are descriptions and classifications of some of the modes noted during the test. A gear rap test was performed of each test gear configuration. The test setup consisted of suspending the test gear by a rubber cord. The gear was inspected by striking with an instrumented hammer at a prescribed location and then recording the response using an accelerometer mounted on the part. This mimics an unsupported gear configuration where the part is free from mounting constraints known as a free-free rap test. A picture of the test setup is shown below in Figure 7. A special instrumented hammer was used to apply a force to the part. 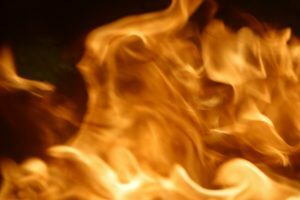 The accelerometer measured the magnitude of the load applied and acted as a trigger for the time measurement of the response. An accelerometer to measure the response was chosen based on the size of the part. The response accelerometer was moved between various predetermined positions while the hammer impacted the same location and direction. 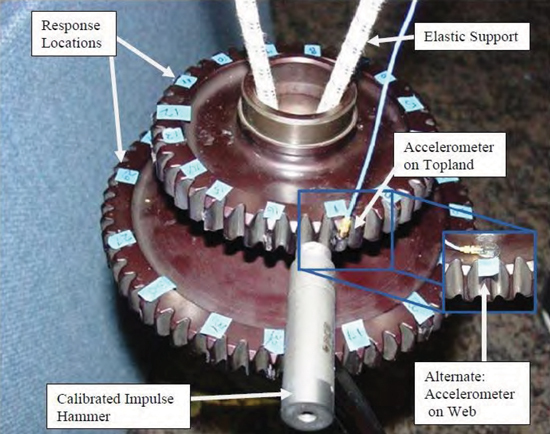 The accelerometer was mounted on the web to measure axial response and then the test was repeated mounting the accelerometer on the gear tooth topland to measure radial response. A data analysis package was used to align the different responses and to provide a visual representation of the measured results. The goal of the test is to determine the frequency at which mode shapes occur. Not all mode shapes will be sought during the test. Table 4 summarizes mode shapes and frequencies measured for the two rapid prototyping gear parts, the production aircraft part and the FEA results. The subject idler gear has two gears on a common shaft. The larger gear is labeled gear 5 and the smaller is labeled gear 4. The first column in Table 4 describes which gear was active in the modal response for that frequency. When both gears were involved to a significant degree in the mode shape the “gear” is labeled 4/5. The second column in Table 4 describes the mode shape. The first mode shape as represented in the test laboratory software is shown in Figure 8. Results showed correlation between the FEA approach, the DMLS test gear and the 5-axis CNC gear. The natural frequencies predicted by the FEA method were within 1% of the frequencies measured on the aircraft part. The 5-axis CNC part produced responses with an average error of 2% greater than the aircraft part. The DMLS gear produced responses that were on average 9% lower than the production part. The lowest and highest deviations of the DMLS part from the aircraft part were 8.28% and 10.29% respectively. Although this was not as accurate as the other methods from the absolute frequency stand point, the DMLS gear natural frequencies were consistently lower than the production gear by roughly 9%. This is due to either a lower modulus of the DMLS maraging steel, a higher density or a combination of both. In natural frequency analysis, the ratio of the elastic modulus to the density of the material is a key parameter. One can see from Table 4 that the modulus of the resulting DMLS part can vary significantly. For the parts made, the resultant volume was not measured, which is necessary to calculate the actual density of the DMLS part produced. The DMLS part results were much closer than we expected given the variability in the density and our initial concern over how the material might damp resonance response. (See Table 5). 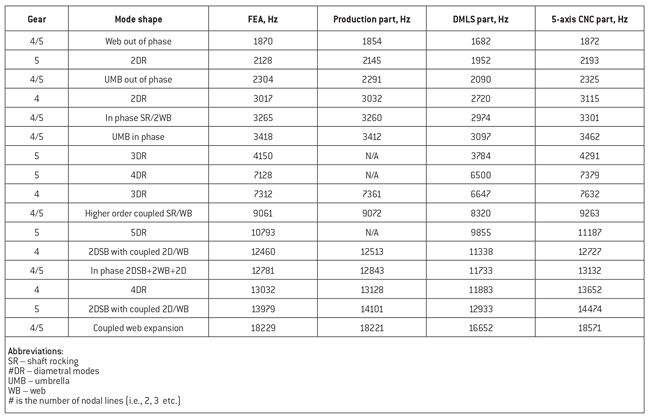 A summary of the deviations of natural frequencies from the baseline production part is shown in Table 6. 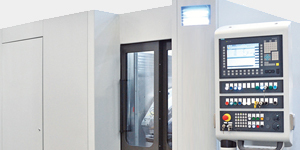 It shows that the 5-axis CNC natural frequency results could be used without adjustment. The DMLS natural frequency results should be adjusted by a suitable factor to get a good estimation of what the production part natural frequencies would be. Table 6 shows that the DMLS natural frequencies are typically 9% low from the production part studied, so factoring up the DMLS results by 9% would yield close to the production parts results, in this instance. 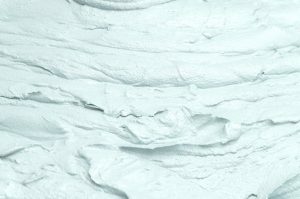 The adjustment factor will be a function of the base powdered metal and the machine used to generate the 3D printed part, because they determine the ratio of elastic modulus to density in the part produced. 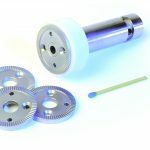 Using rapid-prototyping manufacturing methods, test specimens for gear resonance rap testing can be made in a timely fashion to determine experimentally mode shapes and frequencies. 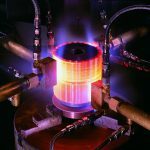 There is the potential for a reduction in test fabrication time by employing rapid prototyping of parts for the risk reduction test. The authors would like to acknowledge the work and support of Charles Garmel, Christopher Pierce, Robert Fitzpatrick, Evan Filter, and the Boeing Commercial Airplanes Rapid Prototyping and Modelling Laboratory in Seattle, WA for this project. 1. B.R. Uppaluri, B.W. Douglass, A Validated Finite Element Frequency Response Criterion for Resonant-Free Gear Design of the V-22 Tiltrotor Aircraft presented at the 27th Joint Propulsion Conference, June 24-26, 1991, Sacramento, CA, (AIAA 91-1908). 2. R.J. Drago, F.W. Brown, A.D. Sane, and D.M. Stremick, Gear Resonance Analysis Experience with F-22 AMAD, presented at the 7th International Power Transmission and Gearing Conference, October 6-9, 1996, San Diego, CA, (1556PTG96). 3. R.J. Drago and R.N. 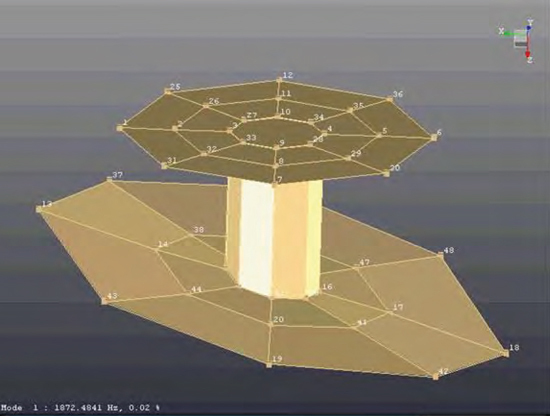 Margasahayam, Analysis of the Resonant Response of Helicopter Gears With the 3D Finite-Element Method, presented at the 1988 MSC/NASTRAN World User’s Conference, Los Angeles, CA, 1988. ** Printed with permission of the copyright holder, the American Gear Manufacturers Association, 1001 N. Fairfax Street, Suite 500, Alexandria, Virginia 22314. Statements presented in this paper are those of the authors and may not represent the position or opinion of the AMERICAN GEAR MANUFACTURERS ASSOCIATION. 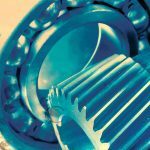 is an associate technical fellow within the Dynamic Component Stress group at The Boeing Company in Philadelphia, PA and specializes in bearing technology. 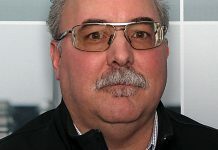 Jeff has over 28 years of experience in aerospace as a stress analysis engineer of dynamic components used in rotorcraft drive and rotor systems. 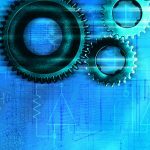 is a gear technology engineer at The Boeing Company in Philadelphia, PA. 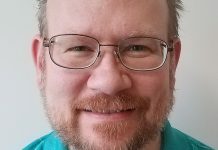 He specializes in gear design, research, and analysis for rotorcraft drive and rotor systems and supports manufacturing of the U.S. Army CH-47 Chinook Helicopter and other aircraft programs.